NEW YORK (CNS) — Terrorism and the problem of human trafficking across the U.S.-Mexico border combine to create a crisis in the grim action sequel “Sicario: Day of the Soldado” (Columbia). 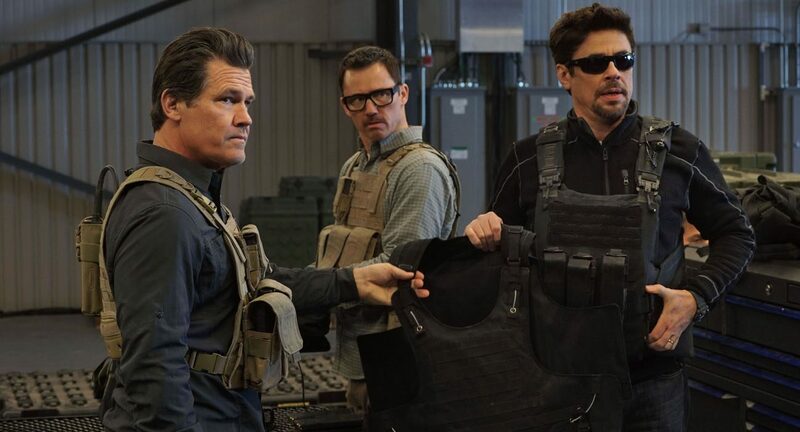 Though the artistic intent of director Stefano Sollima’s follow-up to 2015’s “Sicario” is clear, an unsteady moral tone and ultimately over-the-top bloodletting make the film unfit for any age group. After a deadly bombing in the Midwest, evidence suggests that Mexican drug cartels aided the jihadi terrorists who carried out the attack to enter the United States. So the Pentagon authorizes federal agent Matt Graver (Josh Brolin) to provoke a war among the gangs in retaliation. To help him, Graver calls in mysterious lawyer-turned-hitman Alejandro (Benicio Del Toro). Alejandro’s life was shattered when narcotics kingpin Carlos Reyes ordered the slaughter of his family. Accordingly, it doesn’t take much to convince him to participate in the kidnapping of Reyes’ preteen daughter, Isabela (Isabela Moner), an act the conspirators hope will be blamed on a rival syndicate. Their plan, however, goes awry in a way that endangers their schoolgirl captive and puts both cynical Graver and embittered Alejandro’s most fundamental humanity to the test. In chronicling all this, screenwriter Taylor Sheridan tries to have it both ways. He first invites viewers to revel in the down-and-dirty tactics and gritty tough-guy milieu, then goes on to appeal to their sense of basic decency. But what puts the movie completely out of bounds is a climactic sequence so stomach-turningly gory and gruesome as to be unjustifiable by any dramatic context. It’s more suitable to a slasher flick that a serious drama. The film contains excessive bloody violence, at least one use of profanity and constant rough and crude language. The Catholic News Service classification is O — morally offensive. The Motion Picture Association of America rating is R — restricted. Under 17 requires accompanying parent or adult guardian.